In my prior post, I discussed the pre-release tasks you can concentrate on while your outsourced team is developing your mobile app. Now that we know what tasks to concentrate on, how is the best way to keep track of those tasks and time spent? All of these questions will be answered in this blog. How is the best way to keep track of all of the things you must do as you are developing your app? Well, you have lots of choices. You can use project management software (like MS Project), development tools (like Rally or ALMComplete), a white board with a list of to-do list items, to-do list tracking software (like MS Outlook), etc. I have tried all of the above but I have found the most efficient way to track these items is by simply using a word processor (I use Microsoft Word) and a spreadsheet (I use Microsoft Excel). 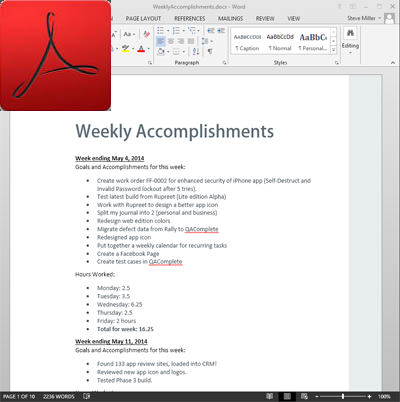 Each week, I enter my accomplishments and how many hours I spent working into a MS Word document and I keep track of future to-do lists at the end of the document so that I can easily pull those into a specific week. 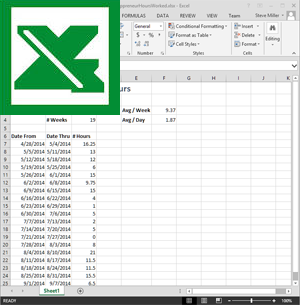 At the end of the week, I also update a MS Excel document that tracks how many hours I worked for the week. 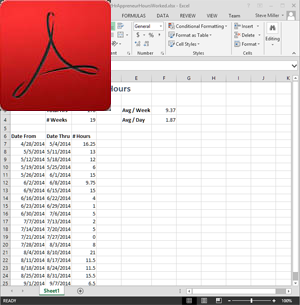 Here is a copy of the MS Word document I use. You can see how I have tracked my accomplishments since the beginning of my app development journey. Also, here is a copy of the MS Excel document I use. As this blog suggests, I try to (on average) work 2 hours a day on this venture and from the document below, you can see that I have averaged a little less than that. That does not mean that every week is a 10 hour week, some are more, some are less. I work when I am inspired and when things really need to get done. Keep track of all your accomplishments and time spent. Don’t spring for expensive project management tools — make do with a word processor and spreadsheet. The app I am creating is slated for production in the App Store in September 2014. 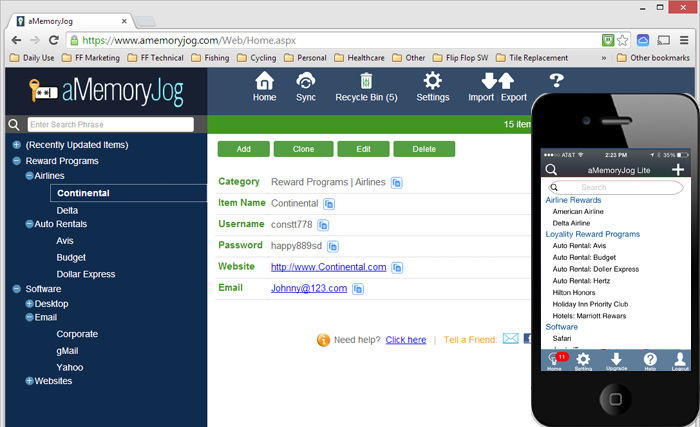 However, the web edition is already available at http://www.aMemoryJog.com. Once the app is done, it will seamlessly sync with the web version. Download a free trial and check it out! Also, if you like this blog, please share it with others to increase our following. Our twitter account is @2HourAppreneur and be sure to like my Facebook page at http://www.Facebook.com/2HourAppreneur. Thanks for following the blog! 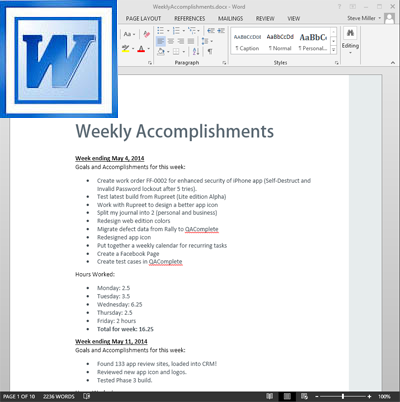 This entry was posted in App Development and tagged 2 hour appreneur, 2hourapprenur, appreneur, building a business, how to start a mobile app business, mobile app, mobile apps, small business, software business, tracking to do lists, tracking weekly accomplishments, tracking weekly accomplishments using microsoft word, tracking weekly time using microsoft excel, tracking work hours on September 15, 2014 by Steve Miller.